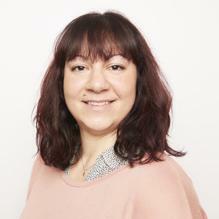 Dr Elena Alexandrou is a highly experienced Clinical Psychologist, currently working in the NHS with patients experiencing trauma related mental health conditions. Dr Alexandrou has a BSc (Hons) in Psychology and Health sciences, an MSc in Forensic Psychology, a Diploma in Psychotherapy and a Professional Doctorate in Clinical Psychology and has worked for over 13 years in the health sector. Dr Alexandrou offers her patients an integrative approach to treatment, using her extensive training in therapies including CBT, DBT, EMDR, CFT and ACT to ensure that the therapy is tailored to the individual needs of the patient. Able to work with patients experiencing a wide range of issues including Bipolar, Depression, Grief, Psychotic depression, Abuse and Trauma, PTSD, Anxiety and Self harm, Dr Alexandrou enjoys working with patients from all walks of life and prides herself in being able to offer culturally sensitive therapy. Praised by her colleagues for being an excellent communicator, reliable and effective at working with her patients, we welcome Dr Alexandrou to our London Clinic. You don't need a GP referral to see Dr Elena Alexandrou.